Help Lead This American Heritage into the Future! Many small preservation projects have been accomplished. A few big ones remain. 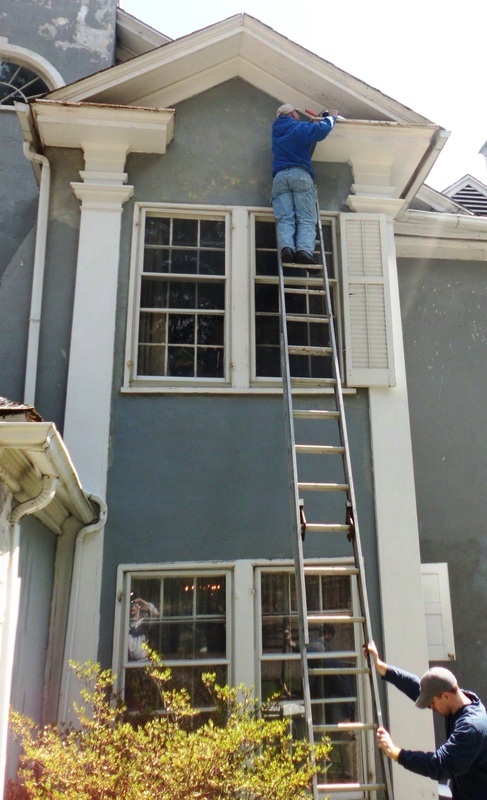 1) Reroofing the Mansion – hundreds of thousands of dollars to do it right. But in terms of life cost, less expensive than doing it two or three times in a generation. Leaks today are threatening even the first floor, so this is a past-due project. 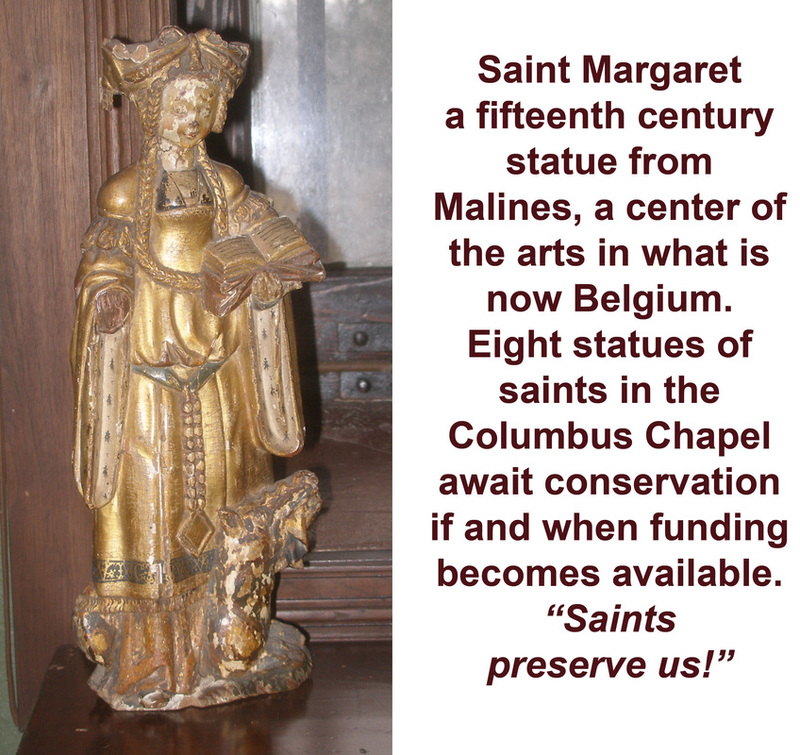 2) Conserving the Chapel statues. Improving HVAC and more in the chapel. A $50,000 project seeking support from national groups associated with Columbus among others. 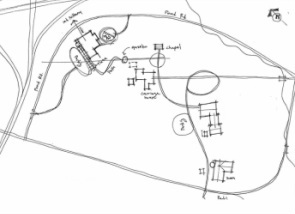 3) The ultimate vision – a new building consolidating the museum functions of reception, administration, exhibit etc etc. And this list doesn’t reflect what may be needed to continue the Boal Barn as a summer theater, something in which many people have expressed an interest. Comments like these of Lance Breisch are what inspires the Boal Mansion Museum team to carry on with the ongoing preservation and conservation of this important heritage asset. Photos below: Many small projects accomplished. Click on the photos to see a larger view. "Home wreckers!" 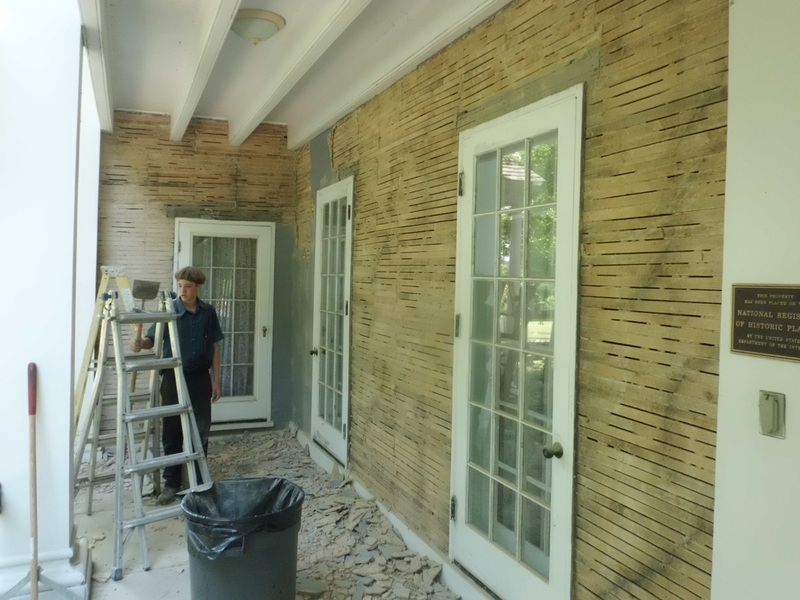 Samuel Allgyer of AR Building and Materials tears out the old stucco on the front porch before his brother Vernon puts up the new. (Photo by permission). 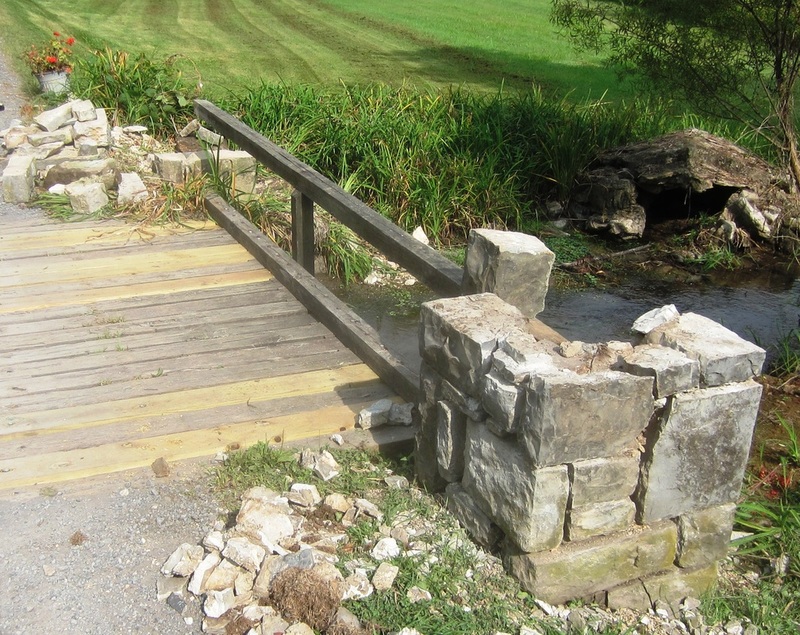 Work in progress: Railing piers and planks of the entrance bridge undergo major repairs. 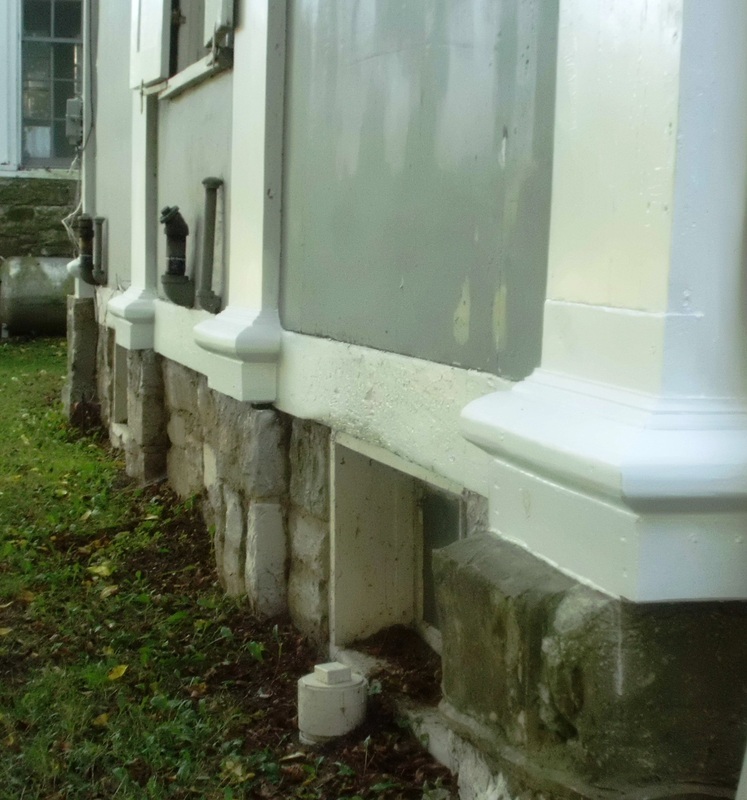 On the east side of the Boal Mansion (facing Boalsburg) rotted column bases were all replaced with identical woodwork.